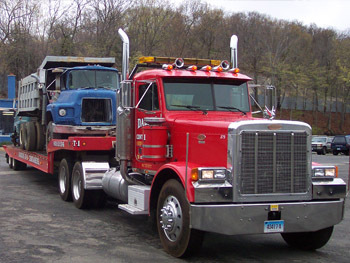 We can take away heavy scrap such as large dump trucks, tractors, bulldozers, landscaping equipment, farm equipment. Whatever it is, if it fits on our truck we can haul it away. We also move heavy equipment such as lulls, construction equipment, paving equipment, farm tractors, and more. Call us with any questions you have and we will try to help any way we can.